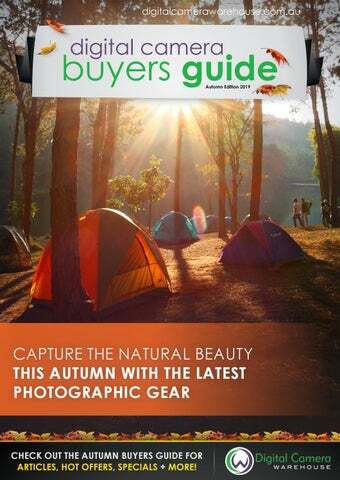 CHECK OUT THE AUTUMN BUYERS GUIDE FOR ARTICLES, HOT OFFERS, SPECIALS + MORE! Lens standards are changing Advances in camera performance and soaring creative ideals demand a new approach to lens technology. Lenses must evolve to remain ahead of the curve. With a clear vision of cameras of the future, Sony now redefines the lens. High resolution and appealing bokeh together at last, from the leader in imaging innovation. High-resolution future Resolution unlocks details that are the essence of beauty. These extraordinary lenses will still be delivering breathtaking detail well into the future. Superior Bokeh Aspherical lenses much more difficult to manufacture than simple spherical types. XA lens elements achieve extreme surface precision that eliminates optical imperfections for the most beautiful bokeh youâ&#x20AC;&#x2122;ve ever seen. Construction More than just stunning images Every aspect of G Master series lenses is refined to fully meet professional requirements in the studio or out in the field. 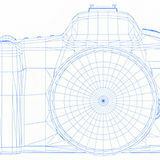 Unparalleled imaging performance is accompanied by outstanding speed, efficiency and reliability. 32GB XQD Card & Reader $159 Value free! 64GB XQD Card $227 Value free! Full-Frame prime with superb resolution, bokeh, and AF Unsparing application of Sonyâ&#x20AC;&#x2122;s most advanced optical technologies has produced a large-aperture prime telephoto lens that delivers outstanding corner-to-corner resolution even at F1.8, plus exquisite bokeh that is a hallmark of the G Master series. Narrow depth of field with breathtaking G Master bokeh The extremely high surface precision of XA elements, careful control of spherical aberration at both the design and the manufacturing stages, and an 11-blade circular aperture all come together to produce spectacularly smooth, elegant G Master bokeh that maximises the creative potential of the narrow depth of field available with this 135mm f/1.8 lens. XA and Super ED elements deliver high resolution XA (extreme aspherical), Super ED (extra-low dispersion) glass, and ED glass elements precisely deployed in an advanced optical design effectively correct aberration, while a floating focus system works with these aberration correction measures to ensure that the highest possible resolution is maintained right out to the image edges throughout the lensâ&#x20AC;&#x2122;s focus range. Dual front and rear XD linear motors achieve fast, precise, quiet AF Sonyâ&#x20AC;&#x2122;s innovative XD (extreme dynamic) linear motors also play an important role, making it possible to maintain focus on moving portrait subjects, performers on stage, or similarly dynamic subjects with impressive speed, precision, and reliability, while also providing AF control that is quiet and virtually free of vibration. Floating focus mechanism for improved close-up capability Although it is a 135-millimeter telephoto lens, a floating focus system that effectively controls aberration at all focusing distances has made it possible to achieve a minimum focus distance of just 0.7 meters (2.3 ft) and a maximum magnification of 0.25x for close-up photography. Small accessories and other subjects can be captured with remarkable resolution and soft, beautiful background bokeh. Superior imaging plus mobility, operability, and reliability The important features include customisable focus hold buttons, a focus range limiter, an aperture ring with switchable click stops, a dust/moisture resistant design1, and a fluorine coated front element. Overall, this is a lens that meets professional requirements for control and reliability for both stills and movies. The new X-T30, offers similar performance to the X-T3, in a smaller and lighter body. It has the same phase-detection AF system with almost 100% frame coverage, blackout-free high-speed continuous shooting of up to 30fps, monochrome adjustment function, Color Chrome effect and Sports Viewfinder mode while also offering functions that cater to the less professional photographer, such as the Advanced S R Auto function as well. “The Little Giant - X-T30” offers premium image quality in its compact and lightweight mirrorless camera body. proportional to the production budget. interesting one frame at a time. levels and budgets can now take the art of cinematic storytelling to a new level. Audio Interface Adapter for iOS & Android Mobile Devices Compact & lightweight audio mixer with phantom power & amplifier, ideal for iOS & Android mobile devices video production. Featuring a mini XLR input, two microphone / line inputs, volume control, level meter for left & right channels plus an aluminum handgrip for recording on the move. The audio quality & versatile operation of the SmartMixer make it ideal for both professional & in-home applications. *Smartphone not included. Perfect for fast, high quality audio recording. Suitable for interviews, corporate videos, weddings, presentations, vlogs & more. Reliable, broadcast-quality audio thatâ&#x20AC;&#x2122;s suitable for ENG/EFP, interviews, presentations, event coverage, and videography. Simultaneous capture of reliable, interferencefree audio from two separate subjects. Suited for broadcast television, ENG & interviews. Lavalier Mic for PC & Mac computers Easy plug-and-play design, ideal for seated interviews, podcasts, vlogs, & more. Smalll & subtle, the mic has sturdy clip that lets you attach it to clothing & adjust its position easily for high-quality sound recording. With Omni-directional pickup pattern & a 50 Hz to 18 kHz frequency range to deliver a natural, open sound. Compact & lightweight design with a builtin shock mount, low-cut Filter & a +10dB audio gain switch to pick up clear audio with reduced distortion. Its level control, a high-pass filter & high frequency boost switches enable you to capture high quality audio, even in difficult shooting environments. Features adjustable level controls, a highpass filter & a high-frequency boost function allowing you to adjust recording settings to suit your both indoor & outdoor recording. BONUS BATTERY & VIDEO LIGHT. Valued at $356. GoPro HERO7 Black BONUS GOPRO 3 WAY. *All Fine Art Print pricing includes 15 min consulatiation / edits. Subscribe to our eNewsletter for the latest offers, product announcements, workshops and other events. Every attempt has been made to ensure accuracy of the product descriptions and prices in the Buyerâ&#x20AC;&#x2122;s Guide at the time of printing. All prices in this Buyerâ&#x20AC;&#x2122;s Guide are correct at the time of publishing. In the event a product is listed at an incorrect price due to typographical, photographic, or technical error, Digital Camera Warehouse shall have the right to refuse or cancel any orders placed for product listed at the incorrect price. All DCW exclusive offers end 31 March 2019 or until sold out or otherwise stated. DCW reserves the right to correct any errors or misprints at any time. No responsibility will be taken for products unavailable due to unforeseen shipping delays. Please refer to the website or digital version of this Buyers Guide at www.digitalcamerawarehouse.com.au for the most recent information. Get the most out of your photographic kit in 2019. Explore our extensive range of tools and accessories to get the creative job done.